The Two Toed Amphiuma: Giant Salamander that Bites Like a Watersnake! Home | Amphibians | Salamanders | The Two Toed Amphiuma: a Giant Salamander that Bites Like a Watersnake! Although salamanders are not defenseless, herp enthusiasts tend not to give their jaws the respect we accord snakes and other reptiles. Until, that is, they tangle with an angry Two Toed Amphiuma (Amphiuma means)! 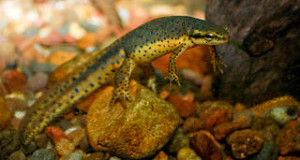 At a record length of 45.6 inches, this third longest of the world’s salamanders is a major predator in the waters it inhabits, and able to bite viciously in self-defense. It is also one of the most interesting and hardy amphibians one can keep, with several longevities approaching 30 years recorded. In fact, I chose one from among literally thousands of available animals to pose with for my staff photo at the Bronx Zoo (displayed to visitors as they enter the reptile house)…and it drew as much or more attention as the more typical large constrictors and young crocs! I have a deep interest in salamanders, and am especially drawn to large, aquatic species (I hope to write about my visit to Japan to see the Japanese Giant Salamander and to N. California to see Pacific Giants soon). Amphiumas are so unique and yet given so little attention that I became carried away writing about their natural history. So as not to burden my readers with an overly-long article, I’ll cover their captive care in the near future. At a record length of 45.6 inches, this largest of the 3 Amphiuma species is also the world’s third longest salamander, exceeded in length only by the Chinese and Japanese Giant Salamanders, (Andrias spp.) Another aquatic native of the USA, the Greater Siren (Siren laticauda), may reach 38 inches in length, but is slimmer in build and has external gills (please see photo). The body is stout but elongated and eel-like, with 4 tiny, essentially useless limbs and a laterally compressed tail. The eyes are small, lidless and covered with skin. There is an external gill slit but adults breathe via the lungs and skin. The color is uniform gray to dark brown, with occasional albinos having been found. 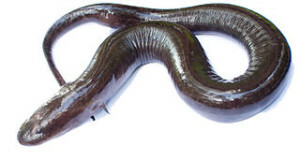 The first Amphiuma I encountered in a pet store was being sold as a “Congo Eel”. This name is rarely used today, but I have a photo of an Amphiuma labelled as such at the Bronx Zoo’s reptile house on opening day, over 100 years ago. The Two Toed Amphiuma is found in the Southeastern United States, along the coastal plain from eastern Virginia through the southern tip of Florida (it is absent from the Keys) and west to southeastern Louisiana. There are 2 other species in the genus. The 12-inch-long One Toed Amphiuma (A. pholeter) is restricted to the northwestern Florida Panhandle and adjacent southeastern Alabama. The Three-toed Amphiuma (A. triadactylum, please see photo), to 42 inches long, ranges from western Alabama to eastern Texas and north to Missouri, Arkansas, Tennessee and southwestern Kentucky. In the northeastern portion of its range, where the Two-toed Amphiuma shares its habitat with the Three-toed Amphiuma, the 2 species occasionally interbreed. Amphiumas favor shallow, heavily-vegetated, slow-moving or stagnant water bodies such as bayous, swamps, flooded meadows, drainage ditches, canals, and ponds. They are often associated with acidic waters. Although entirely aquatic, Amphiumas sometimes travel overland on wet nights. They are mainly nocturnal, and shelter by day in self-dug burrows, crayfish and muskrat tunnels, and beneath aquatic vegetation. All three Amphiuma species can aestivate by burrowing into the mud when their aquatic habitats dry out. Two-toed Amphiumas have survived for 1 year in such a state, and anecdotal evidence indicates that they may be capable of lasting for 2 or more years without food or water. They hibernate during winter in the northern portions of their ranges. Fertilization is internal. Gravid females construct nests by evacuating depressions below logs and other cover or within muskrat burrows. The nests may be in very shallow water or on moist land – in some cases as much as 20 feet from the water’s edge. The female coils about the eggs during the 4-5 month incubation period, protecting them from predators and desiccation. It is not known if incubating females leave the eggs to feed. The 30-200 eggs, which are attached to each other in string-like fashion, are deposited in June/July in the northern part of the range and in Jan. /Feb. in the south. Inundation with water may trigger hatching. The larvae average 2 inches in length upon hatching and have external gills. The gills are quickly resorbed, often within 2 weeks. The larvae apparently survive on their yolk during this period. Sexual maturity is reached in 3-4 years. Two-toed Amphiumas consume nearly any smaller animal that can be overcome, including frogs, tadpoles, salamanders, small snakes and turtles, fish, insects, snails, crayfish and carrion. They hunt largely by smell, and appear to have chemo-receptive glands along the body – a food item touched by any portion of the body is instantly seized. The Mud Snake (Farancia obscura; please see photo), and the Rainbow Snake (F. erythrogramma), appear to prey largely upon Amphiumas. 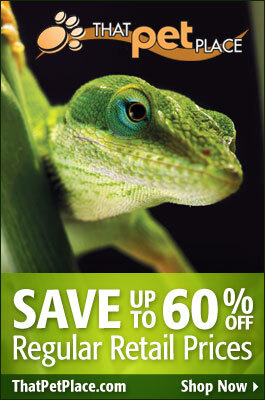 They are also hunted by herons, alligators, large turtles and otters. Amphiumas have found their way into human diets, long ago among people indigenous to the American Southeast and, it is reported, more recently as well. I Found an Orange Salamander: Is it a Red Eft and Does it Make a Good Pet?